Touring bikes are not as popular as road or racing bikes in Sydney so bike shops usually only had one or two tour options as floor stock or even none at all. We had to call ahead to see if the bike shops had a Fuji floor model before visiting. At Bondi Bikes we were in luck! 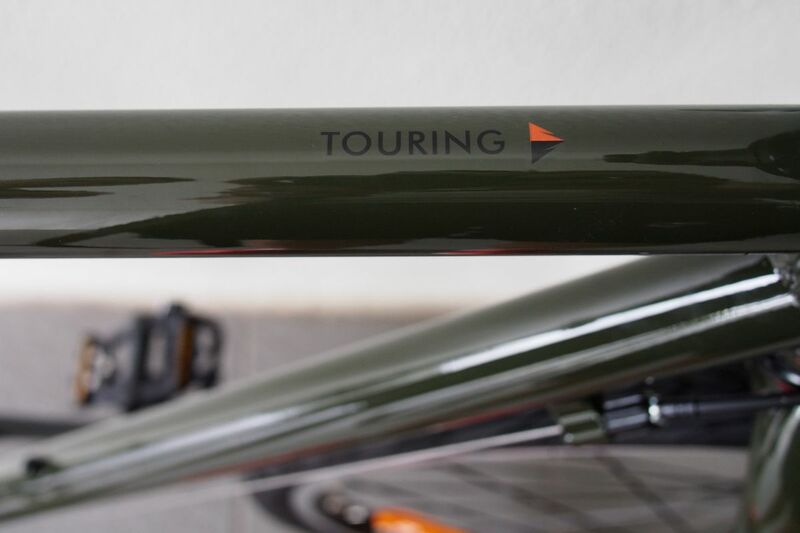 The 2015 model had just arrived, and even better luck the 2015 had a brand new paint job of olive-green with orange and brass embellishments. 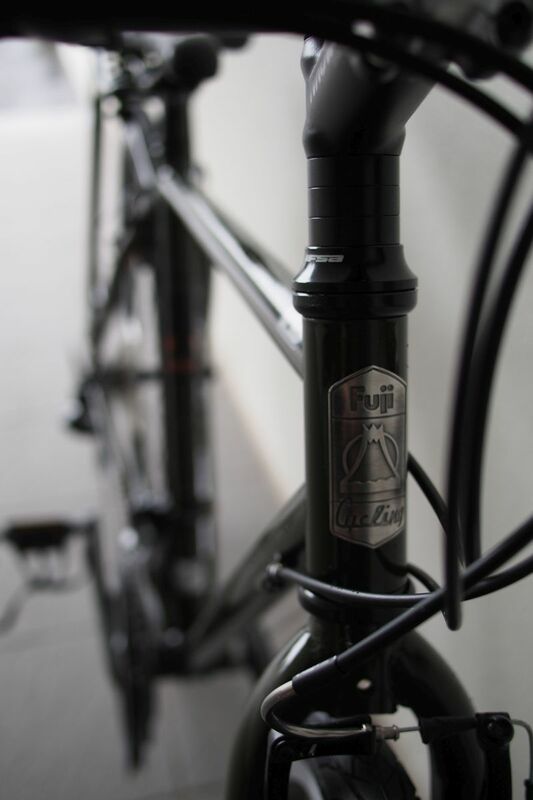 After a thorough looking over and a quick ride around the block cemented Fuji in our hearts. Although the shop and staff were lovely, Bondi not being the cheapest suburb we decided to keep shopping around. A couple more shop visits around suburbs we came across Bates Bikes in Carlton, about 15km south of the Sydney CBD. The staff. were awesome, ready to answer any questions at all. And being new to bike touring we had a bunch! 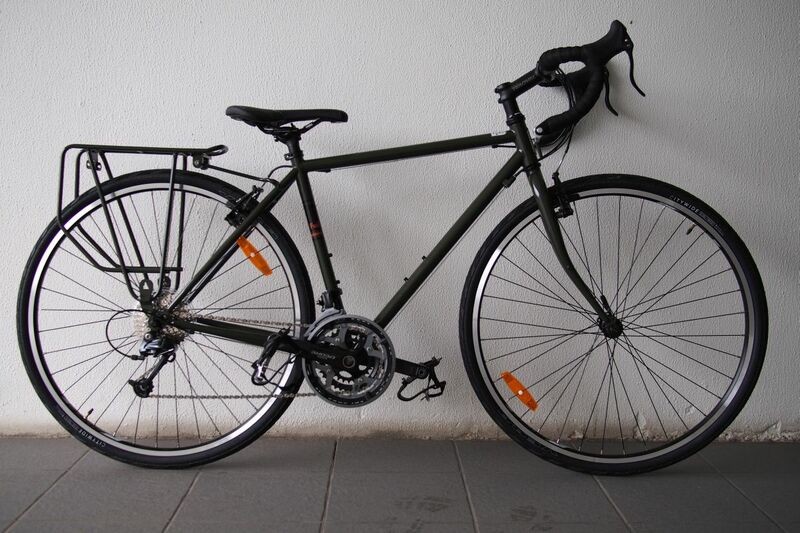 Ordering bikes when you haven’t tried the correct frame is unnerving. We used online bike calculators such as this to determine what size to order. We also double checked this at Bates before ordering. Three weeks later we picked them up, olive green and beautiful. 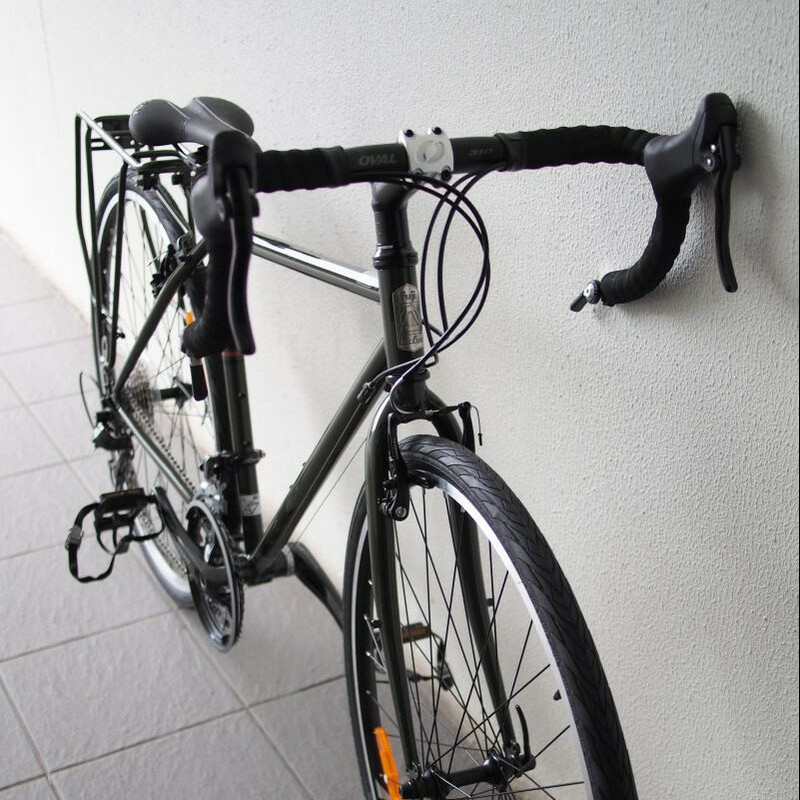 The guy said it was a pleasure to put them together as they are so well made – great to hear as two bike newbies! I want to buy a bike for long distances ..
Can we do that I am now in Libya ..
I’m not too sure about postal for different companies, you’ll have to check on their shipping – good luck on your travels! Wow. I must be having a different experience. I ordered 2 (two) 2015 Fuji Touring 49s on November 2014 and I just received the 5th shipping delay ( now July 19, 2015 ). Wanted the frames and drives to rebuild with SKS fenders, Deore XT Hubs/719A/Schalbe/Nitto Albastaches and Brooks leather seats and bar tape. Should be a respectable home garage project. I just can not believe the business model – 9 months to deliver. My hand built wheels have been ready for 8 months. When you are 61 years of age this is a lifetime of waiting. Still looking forward to the build. Hi Jack, that is an extraordinary delay. It sounds like we were extremely lucky with our delivery date. The SKS fenders are brilliant and lightweight it is just extremely frustrating trying to fit them (maybe it was just us though). I went with Lizard Skins bar tape however we will be changing over to the Brooks leather tape as only 3 months in the current tape is falling apart. Best of luck with the bike build.